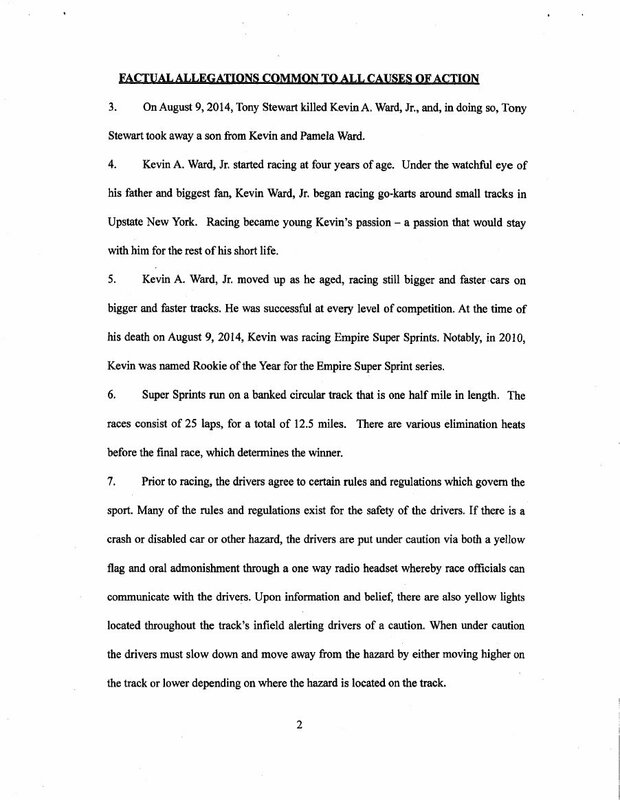 The second was held in early June. 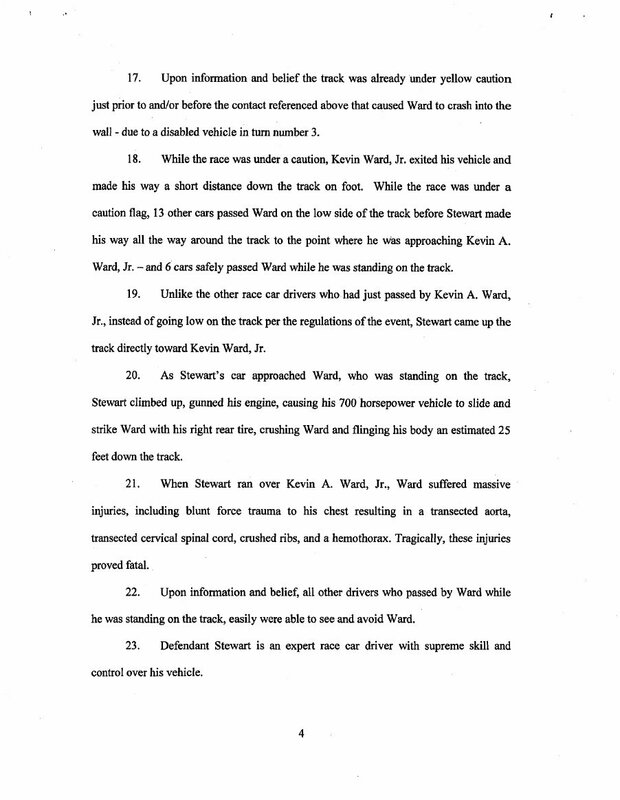 Dual sessions, eight-hours a piece. 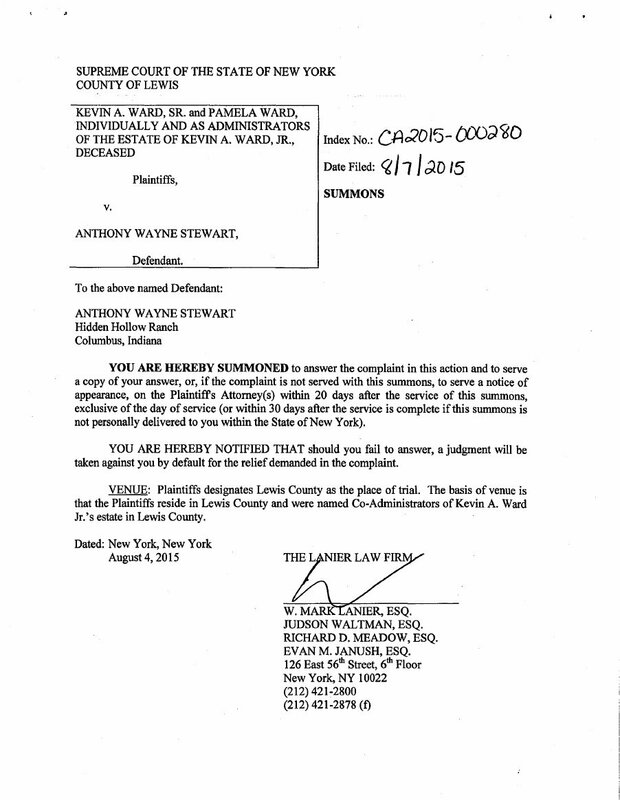 Yesterday, in Syracuse, NY the parties met for a 3rd time. 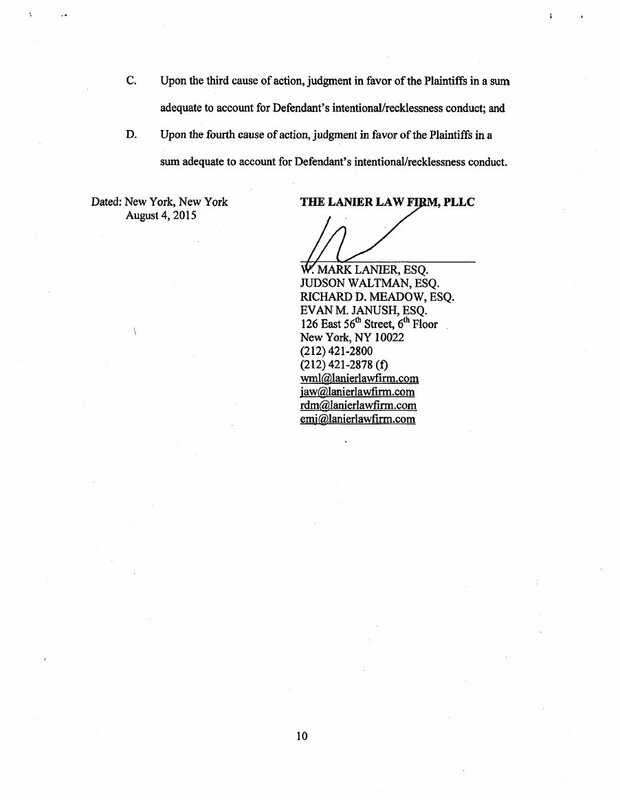 In attempts to reach a possible settlement in the case. 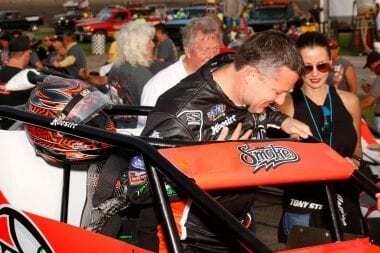 The family of Kevin Ward Jr. claims sprint car racer Tony Stewart “could have easily acted reasonably and with prudence to avoid striking Ward, just as all other drivers had done”. 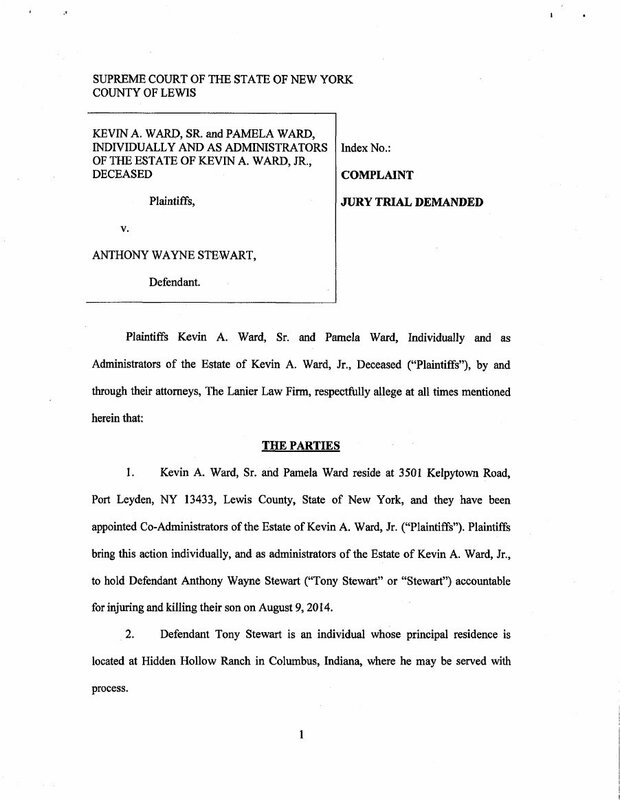 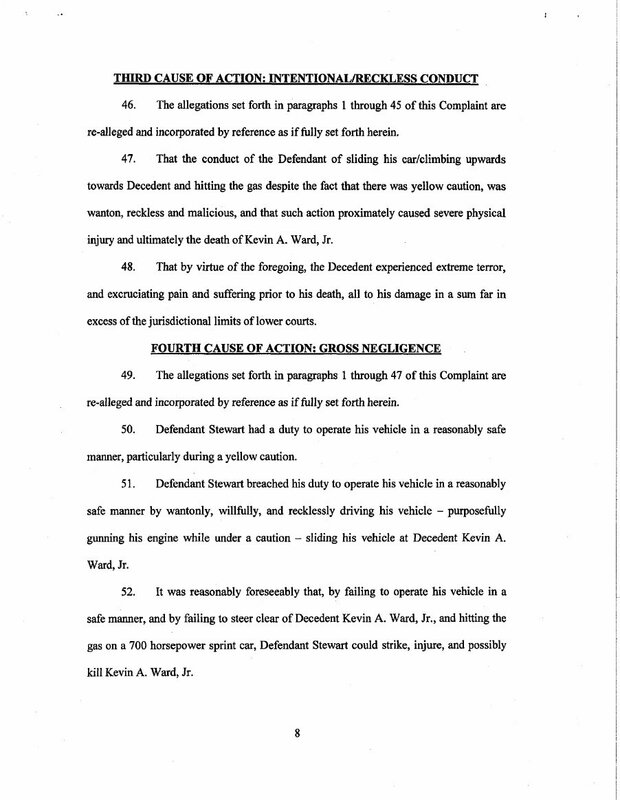 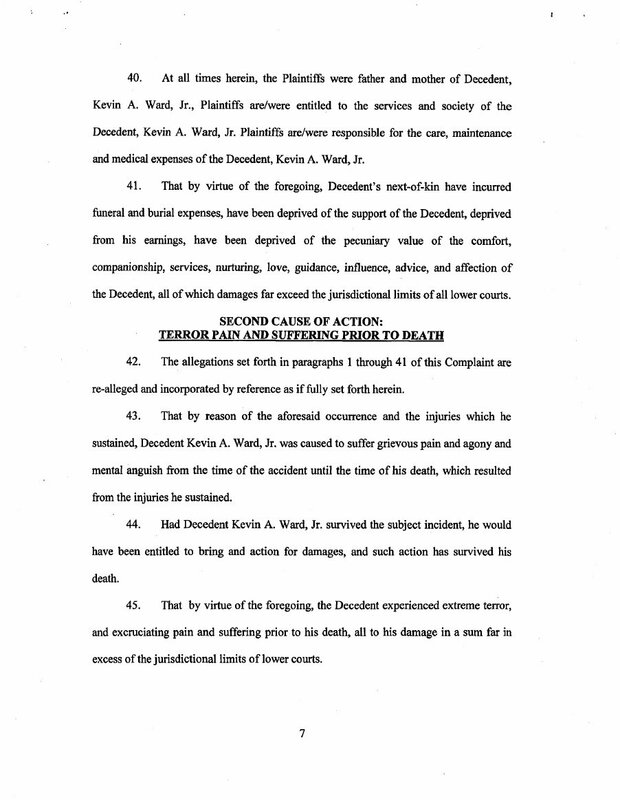 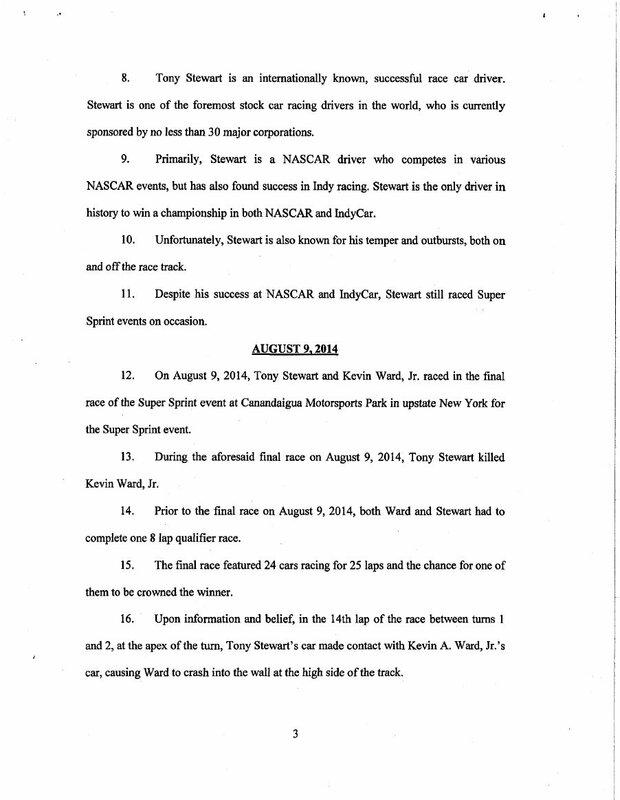 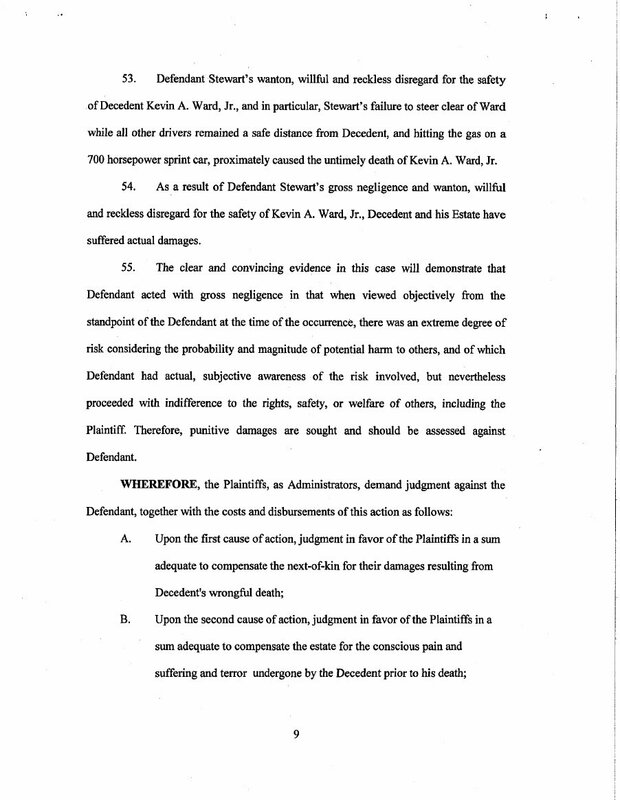 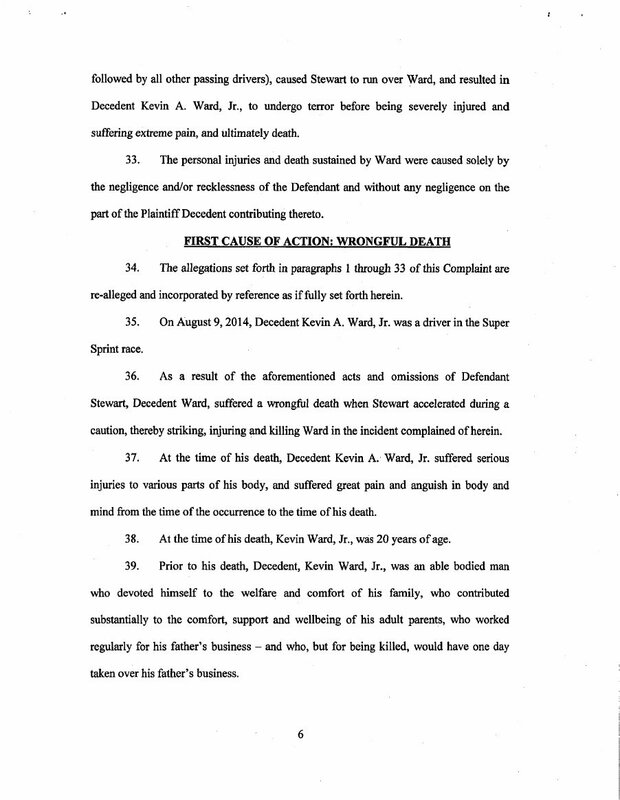 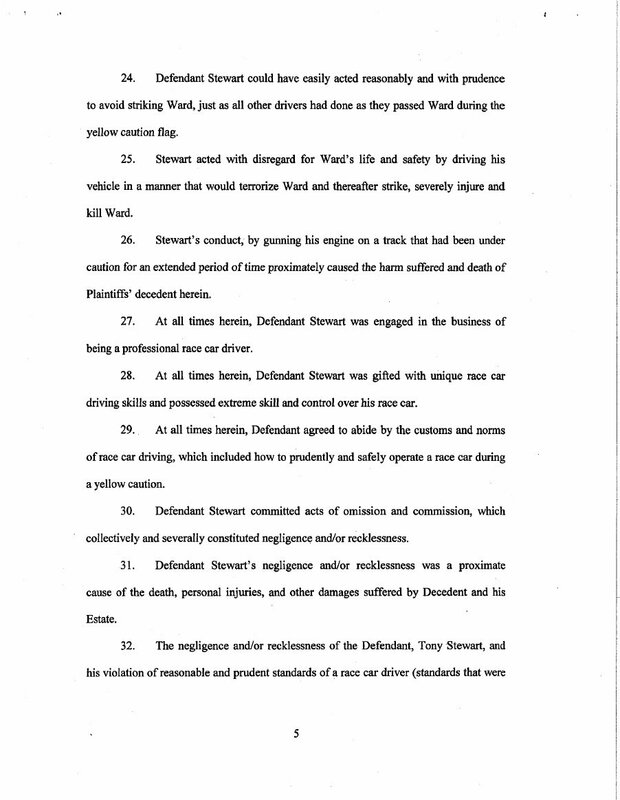 View the official court documents below from the Ward Family vs Tony Stewart case.